Check out this great 2015 feature on Miran by the Metropolitan Opera Orchestra! Miran Kim appeared on Show 137, recorded in February 2006, at age 16. 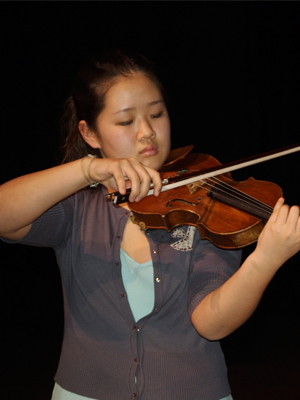 Miran Kim, (violin), 16 from Paramus, NJ, is a sophomore at New York’s Professional Children’s School. Miran, who has been playing violin for 12 years, is a member of the Juilliard Pre-College Chamber Orchestra, enjoys reading different genres of literature, making crafts, and is active in her church’s youth group. Miran is a Jack Kent Cooke Young Artist.